BISHKEK, Nov 20 2014 - There is a good chance that economic jockeying between China and Russia in Central Asia will intensify in the coming months. For Russia, Chinese economic expansion could put a crimp in President Vladimir Putin’s grand plan for the Eurasian Economic Union. At the APEC gathering, Xi and Putin were all smiles as they greeted each other, dressed in summit attire that was likened by journalists and observers to Star Trek-style uniforms. Yet, the public bonhomie concealed a “complicated relationship." Chinese President Xi Jinping elaborated on Beijing’s expansion plans, dubbed the Silk Road Economic Belt initiative, prior to this year’s Asia Pacific Economic Cooperation (APEC) forum, which concluded Nov. 12. The plan calls for China to flood Central Asia with tens of billions of dollars in investment with the aim of opening up regional trade. Specifically, Xi announced the creation of a 40-billion-dollar fund to develop infrastructure in neighbouring countries, including the Central Asian states beyond China’s westernmost Xinjiang Province. The fund’s aim is to “break the bottleneck in Asian connectivity by building a financing platform,” Xi told journalists in Beijing on Nov. 8. Such development is badly needed in Central Asia, where decaying Soviet-era infrastructure has hampered trade among Central Asian states, and beyond. FTAAP and the Silk Road Economic Belt, along with a similar strategic plan called the 21st Century Maritime Silk Road, are pro-trade in the broadest sense, seeking to break “all sorts of shackles in the wider Asia-Pacific region to usher in a new round of higher level, deeper level of opening up,” according to Li Lifan, an associate research professor at the Shanghai Academy of Social Sciences. Under the Chinese vision, its “grand idea” would seek to “absorb the Eurasian economic integration [project] led by Russia,” Li told EurasiaNet.org via email. In contrast to the expansive Chinese vision for Eurasia, early evidence suggests a Russia-led union, with its tight border controls and levied tariffs, could end up stifling cross-border trade among members and non-members. Under such conditions, Central Asian states could experience a decline in their current level of trade with China. The existing Kremlin-dominated Customs Union is set to evolve into the Eurasian Economic Union on Jan. 1. At least since the build-up to the 2013 summit of the Shanghai Cooperation Organization (SCO), a Central Asia-focused security organisation of which China and Russia are both members, Beijing has been very public about wielding its economic might in the region. Back then, Xi jetted across the region speaking of the belt for the first time as he signed deals worth tens of billions of dollars, most notably energy contracts with Turkmenistan and Kazakhstan. Ever since, discussions of how to turn the belt into a reality have been uncomfortable. Moscow is reportedly steadfastly opposed to the idea of turning the SCO – which also comprises all four Central Asian countries positioned along the proposed belt’s route – into an economic organisation. 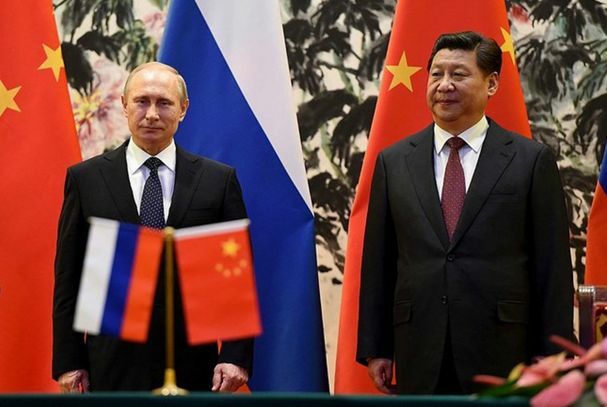 For countries that have already been on the receiving end of Chinese largesse, the prospect of deeper economic integration with Russia may begin to seem like a limitation. During a Nov. 7 meeting in Beijing ahead of the APEC summit, Xi and Tajik President Emomali Rahmon signed agreements securing Chinese credit for a railway to connect Tajikistan’s north and south, a new power plant and local agricultural projects. They also agreed on investments for the state-owned aluminium smelter Talco, an entity that once enjoyed close ties with the Russian conglomerate RusAl. Bilateral trade for the first eight months of this year increased by 40 percent compared with the same period last year, reaching 1.5 billion dollars. “If we compare something like the Customs Union to the Silk Road Economic Belt, then of course the belt is preferable for Tajikistan,” Muzaffar Olimov, director of the Sharq analytical centre in Dushanbe, told EurasiaNet.org in a telephone interview. Tajikistan “has not decided” if it wants to join the economic bloc [the EEU], he added.